Mentor Education's Certificate IV in Finance and Mortgage Broking (FNS40815) is suited for those looking to enter the finance and mortgage broking industry, or who are already working in the industry and want to achieve a nationally recognised qualification that also meets the education requirements as outlined in ASIC's RG206. This course can be undertaken prior to completion of the Diploma of Finance and Mortgage Broking Management (FNS50315) qualification. This is recommended for those without prior industry experience. However, from the 1st of January 2018 professional associations will require that the Diploma of Finance and Mortgage Broking Management as the minimal education requirement for attaining Associate Credit Adviser or Adviser Membership. Enter or advance your standing in the mortgage broking industry with confidence! Employers are increasingly looking for candidates who are equipped to meet the challenges of being a successful finance and mortgage broker, who has graduated at the leading edge of their field. This is an open entry course with no pre-requisite qualifications. In order for participants to successfully complete this course, it is recommended they have a strong grasp of literacy and numeracy.. This qualification is required by responsible managers and representatives who need to meet the initial requirements of Section 47(1) (f) of the National Consumer Credit Protection Act 2009 (National Credit Act) which places responsibility to gain and maintain the competence to provide the credit activities authorised by a credit license. Please refer to your relevant association for further information on CPD points available to individuals on completion of this course. The program is for successful finance officers, responsible managers and mortgage brokers who wish to offer finance and mortgage broking services, it has a strong practical, experiential focus which encourages application of principles. The courses can be tailored to meet the needs of Finance and Mortgage broking firms, organisations and institutions. It is expected that students will spend 650 hours in learning and related activities if completing on a full-time basis over 6 months. Students who have extensive industry experience will be expected to complete it in a shorter period. This course introduces finance and mortgage broking, and works through the lending process and examines the agreements you will require to implement the loan. The Certificate IV in Finance and Mortgage Broking (FNS40815) course is the default qualification for the finance and broking industry. If you want to graduate at the leading edge of this field with the skills and knowledge to get ahead in the industry, then this is the course for you. Are you interested in studying this Victorian Government Funded course in a classroom-environment? Call Now on 1300 306 146 or click on the 'Learn More' button below to learn more about studying with Melbourne Polytechnic our brokerage partner **. * Unless stated otherwise, this offer is only for select online Certificate, Diploma, Advanced Diploma qualifications, Short Courses and Skill sets listed on this web page and requires full upfront payment. Unless stated otherwise, no payment plans available for discount offers. Unless stated otherwise, no discounts available for Workshops. 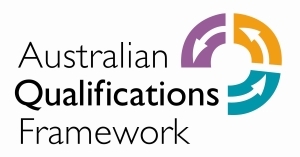 Unless stated otherwise, to be eligible for discounts, you will need to have fully paid for your course enrolment before 22/05/2019, 4.00pm AEST. Cannot be used in conjunction with other offers/existing quotes or applied to past enrolments. Discounts are based on recommended retail price listed on the Mentor Education website as at 01/04/2019. ** All enrolments excluding RPL/RCC will also incur an annual Amenities fee with a maximum cap of $250 ($175 for Concession Holders). Blended Face to face (1-night per week) and Live Webinar (1-night per week) study delivered over 18 weeks by Melbourne Polytechnic (Higher Education Provider No. PRV12142 | CRICOS Code 00724G | RTO Provider No. 3075). Call us if you are interested in Face to Face classes (Melbourne only).